Saudis Challenge Hezbollah Lebanon Dominance; Offers Army $3B. Saudi Arabia will channel $3 billion to the Lebanese army over five years in an effort that analysts interpret as a direct challenge to Hezbollah‘s dominance over Lebanon, The Wall Street Journal reported. The aid comes in the wake of the Dec. 27 car bomb assassination of Mohamad Chatah, a leading Lebanese Sunni politician and critic of Hezbollah. The money, which challenges what the BBC termed Hezbollah’s “unchecked power,” has the potential of altering Lebanon’s political structure and could exacerbate sectarian tensions. Gulf sources told the Journal that the Saudis do not want a direct confrontation with Hezbollah only to “rebalance” its influence in Lebanon. Lebanese President Michel Sleiman, a Christian, said Lebanon would use the Saudi money to purchase weapons from France, the BBC reported. The Saudi money far exceeds Lebanon’s entire $1.7 billion annual defense budget, according to the Journal. Demographics play a key role in Lebanon. Of the 4 million Lebanese, Christians comprise about 41 percent the population; Shiites, 36 percent, and Sunnis about 20 percent. There are also other sects including 250,000 Druze. Saudi Arabia, which is Sunni, supports the Sunni insurgency against the Assad regime in neighboring Syria, while Shiite Hezbollah has committed fighters to Assad. Many Lebanese army officers are Shiite and some Sunnis distrust the force as being partial to Hezbollah, the Journal reported. Meanwhile, the Saudis have been critical of what they see as the lack of American assertiveness in the region particularly regarding Syria and Iran’s nuclear program. They have responded by more closely aligning with France and generously backing regional allies including the military regime in Egypt. An earlier U.S. offer to provide $8.7 million to Lebanon’s army was ridiculed as too little by Sleiman, the Journal reported. There are signs that al-Qaida is gaining a foothold among the Sunni population in Lebanon particularly in Tripoli and Sidon. The Saudis, while adhering to a strict form of Islam, are longtime antagonists of al-Qaida. The Saudis Denies Its Cargo Plane That Closed Abuja Airport for 18 Hours Was Carrying Weapons. LEADERSHIP – It has been confirmed that the contents of the Saudi Arabian Airline that ran into some construction equipment at the Nnamdi Azikiwe International Airport on Wednesday, December 04, 2013, were security hardware. The plane landed at about 9:19pm that day and blocked the only major runway at the airport, delaying takeoff and landing of flights in the airport for over 20 hours. LEADERSHIP had exclusively reported that the Saudi cargo plane was carrying 15 Armoured Personnel Carriers (APCs) made in Russia, which compounded its immediate evacuation from the runway. In a reaction to LEADERSHIP story, the Embassy of Saudi Arabia agreed that the plane originated from Saudi Arabia and was carrying bullet-proof cars made in South Africa. In a letter, dated December 20 to LEADERSHIP, the Saudi Embassy clarified that the Boeing 747 plane marked K 74798 “was chartered by Saudi Arabia Airline, carrying bullet-proof cars and its final destination is Murtala Muhammad Airport, Lagos, Nigeria. The detailed description of the content of the plane is as follows: a set of bullet-proof cars weighing 58 tonnes. Another set of five bullet-proof cars weighing 42 tonnes. The Nigerian aviation and military authorities had kept mum over the contents of the Saudi cargo plane despite reports of security hardware aboard it. The Iranian Deal: What Happens Next?. The deal is done. The Iranian leaders are claiming victory. The White House is claiming victory. Most European governments, as well as Russia, are claiming victory. “One [Israeli] radio host on Sunday repeatedly played clips of President Obama, during his visit here in March, reassuring Israelis, in Hebrew, that ‘you are not alone,’ and then said ominously, ‘We are in fact alone,’” reports The New York Times. The Saudis have been signaling in recent weeks they are losing confidence in their alliance with the U.S., they are increasingly prepared to buy nuclear weapons from Pakistan, and they might even create a tacit alliance with Israel and the Gulf states as a bulwark against Iran. Is all that bluster or is Riyadh serious? Meanwhile, the initial consensus among most Mideast analysts is that Israel is now constrained from launching a preemptive military strike lest the Netanyahu government risk a massive backlash from the international community that has just agreed to an interim agreement with Iran, pending a comprehensive agreement in 2014. But I’ve also seen several examples of Israelis saying this deal makes a preemptive strike more likely, and possibly even inevitable, especially if the Saudis will help. Is this true or just the bluster of those frustrated by what they perceive as the world’s betrayal? To be candid, I don’t have the answers to these questions. Not yet. In part, this is because I don’t think the Saudis or the Israelis at the highest levels have come to clear answers about how to proceed from here. At the moment, I would lean toward agreeing with those who believe Israeli won’t take any military action during these next six months, but there are many factors I cannot see from this angle. I don’t want to see a scenario like the one I portrayed in Damascus Countdown unfold. I’d much rather see a diplomatic solution that truly worked. That said, I’m deeply concerned that the world powers just let themselves be hoodwinked by the mullahs in Iran and that the world has suddenly become a much more dangerous place with Iran in a better position to build and deploy nuclear weapons. Joel C. Rosenberg is the author of numerous New York Times best-selling novels and nonfiction books, with nearly 3 million copies sold. He is also the founder of the Joshua Fund. His books include The Last Jihad (2002), The Last Days (2003), The Ezekiel Option (2005) and The Copper Scroll (2006). For the original article, visit joelrosenberg.com. 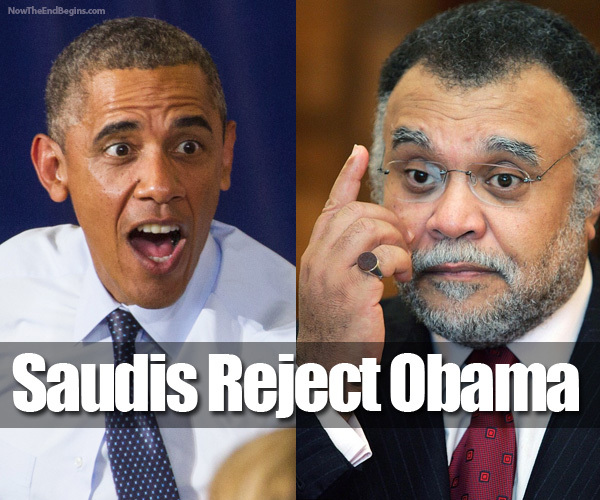 Saudi Arabia: US Lied to Us in Negotiating Iran Nuke Pact. Saudi Arabia says it was deceived in the way the Washington struck the nuclear deal with Iran, forcing the Saudis to pursue a foreign policy independent from the West. with Iran. According to The UK’s Daily Telegraph, a senior adviser to the Saudi royal family said while it knew the U.S. was talking directly to Iran through a channel in Oman, its Western allies failed to brief the country on its talks with Iran. While the country has not condemned the deal, Saudi Arabia has previously expressed its concern about U.S. outreach to Iran and continues at odds with the Obama administration’s hands-off approach to the conflict in Syria. Earlier this month, Secretary of State John Kerry met with Saudi King Abdullah in an attempt to quell tensions over American policy on Syria and Iran. ObamNO! Saudi Arabia Severs Diplomatic Ties With US Over Response To Conflict In Syria. Saudi Arabia flat out accused Obama today of not launching military strikes on Syria because he is helpingAssad to butcher his own people. They are 100% correct. Obama is also helping Iran to finish building nukes by giving them time and space to get it all done. Daily Mail UK: Upset at President Barack Obama’s policies on Iran and Syria, members of Saudi Arabia’s ruling family are threatening a rift with the United States that could take the alliance between Washington and the kingdom to its lowest point in years. Saudi Arabia’s intelligence chief is vowing that the kingdom will make a ‘major shift’ in relations with the United States to protest perceived American inaction over Syria’s civil war as well as recent U.S. overtures to Iran, a source close to Saudi policy said on Tuesday. The growing breach between the United States and Saudi Arabia was also on display in Washington, where another senior Saudi prince criticized Obama’s Middle East policies, accusing him of ‘dithering’ on Syria and Israeli-Palestinian peace. In unusually blunt public remarks, Prince Turki al-Faisal called Obama’s policies in Syria ‘lamentable’ and ridiculed a U.S.-Russian deal to eliminate Assad’s chemical weapons. He suggested it was a ruse to let Obama avoid military action in Syria. ‘The current charade of international control over Bashar’s chemical arsenal would be funny if it were not so blatantly perfidious. And designed not only to give Mr. Obama an opportunity to back down (from military strikes), but also to help Assad to butcher his people,’ said Prince Turki, a member of the Saudi royal family and former director of Saudi intelligence. source – Daily Mail UK. LIGNET: Surprising Snub of UN Security Council Will Hurt the Saudis. Saudi Arabia’s decision to reject a seat on the UN Security Council is evidence of a clear change in the country’s willingness to cooperate with the West through the United Nations, and a sharp turn away from the close relationship the Saudis have long enjoyed with the United States. While the decision is not likely to affect the operations of the UN Security Council, it is quite likely to hurt the Saudis, who now won’t have a seat at the table.